When is it Time to Put the Brakes on Elderly Driving? So how do you being a conversation with an older person about whether it is time to stop driving? Begin collecting information. Take a ride with the driver. Ask yourself would you let your 5 year old grandchild be in the car with them? Get a driving evaluation (cost $300-$500)that will test cognition, reflexes, vision, flexibility, and visual attention. Has the Senior been in “close calls” or got lost while driving. Take a walk around their vehicle and look for dents and scrapes. Seniors have may difficulty turning to check over their shoulder while backing up or changing lanes. Has the Senior received multiple traffic tickets or warnings from law enforcement offers? All of these could be warning sign tells about driving problems. Our nearby senior community, Somerby of Alpharetta, invited me to a seminar they were giving titled “We need to talk… Family Conversations with Older Drivers” one of several excellent seminars they were giving. This is a good service they are doing and the meeting room was full. Didn’t hurt they included dinner, but the seminar was very professional and included speakers Thomas Corrigan who is a Geriatric Consultant, Mr. Jim Swain an elder care attorney, an Alpharetta police officer, and Ms Deann Young the Somerby representative. The stop driving seminar was excellent and here are some of the highlights from my notes. Ms. Young pointed out age alone is not sufficient to make the decision to stop driving. Their is a post man in Birmingham Al who is over age 90 and still drives his postal route and has never had an accident. Many elderly drives are fine despite the jokes about old drivers. There was a resident of Somerby who got up to talk about his decision to stop driving. He and his wife had been living up at Big Canoe when he started having mini seizes, just going blank a couple of seconds. He got better, then off on on he might have one. He said he always had a practice throughout his life of arriving early for an appointment and to do that, he had to leave early. So in his mind he certainly didn’t want to hurt or injury anyone, and although he might could continue to drive until something happen, he would stop now. It was not about him, but about other people and their children. Just like leaving early to keep his appointments, he would stop driving now, maybe early but the safe route. Mr. Swain pointed out most people have been driving longer than they have been married, or longer than their career. It is difficult decision for them to make, to stop driving. Some facts were presented. You can’t say when a safe time of time to drive is, accidents happen all the time. An elderly driver has a 66% chance of dying in a vehicle crash. When you are young you can bounce back, but vehicle crashes are more serious to older people. 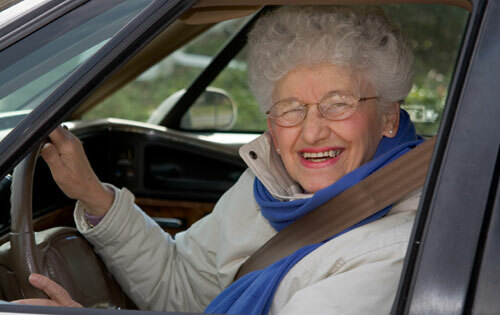 Age related conditions like macular degeneration and cataracts can interfere with driving. Your field of vision really goes down hill fast after age 75. Medical factors which impact driving include diminished eyesight and hearing, prescription medications, decreased reaction time, physical flexibility, impaired judgment, dementia and memory loss, increase use of alcohol or OTC medications. It was pointed out that Seniors are a tough generation and don’t know quit, stop or give up. Later Officer Howard offers that you should talk with Seniors about Retiring from driving -not quitting. It is good to have the whole family on board before having conversations with the Senior about not driving. Discuss in a private setting. Then maybe the least confrontational relative or friend should begin the conversation about it maybe time to stop driving. Try to be non-confrontational. 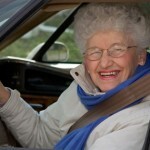 Encourage the Senior to express their concerns about their driving. Realize but remove the emotion from conversation. Then the whole family could reinforce the conversation. Maybe give the Senior socially acceptable reasons that they could tell their friends why they stopped driving, like a hip replacement or medications for example. They need to explain why they stopped driving. Other options for getting around could include take a taxi, using senior center vans, home care agency, senior service agencies, public transportation, and family members or neighbors and friends. Some new routines for the Senior that do not include driving may be gardening, spending time with grandchildren, travel, senior centers, family activities. Schedule an eye exam with an Ophthalmologist, ask physician if there are assistive devices which could help with driving, have senior undergo a complete physical examination, consider neuropsychological testing if dementia is a concern, review all medications and side effects which could affect driving, arrange for the Senior to take a driver education refresher course through AAA or AARP, offer to pay for a comprehensive driving evaluation. Doctors can help but it was pointed out they are not going to tell the Senior they can’t drive anymore. Geriatric Care Manager can assisted as well as counseling professionals, Senior Realtors and certified driving instructor. Hope this points help if you are concerned about a Senior continuing to drive.